¡MAYDAY! Reveals ‘Search Party’ Cover Art & Release Date! Between See You On The Other Side, Dominion, Into The Further, and more than a few live shows, it may not feel like it, but it’s been two years since the last ¡MAYDAY! album, Future Vintage. Now, the wait is almost over. Though there have been a few whispers about a new album (like the blurry whiteboard post that had me looking at my screen like this), we are finally getting some screams. 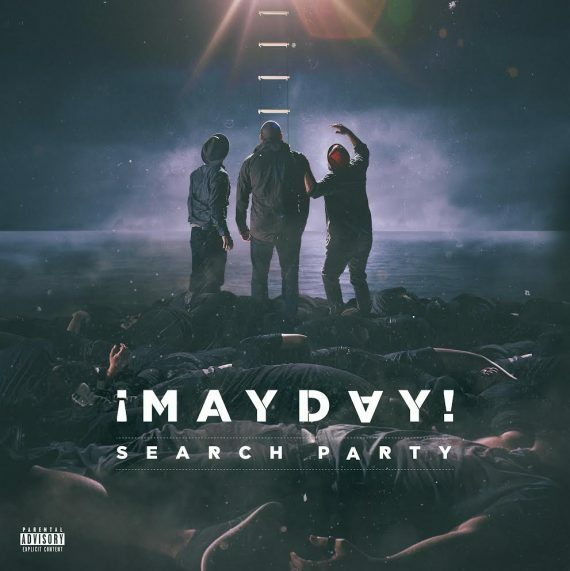 With the help of ¡MAYDAY!’s youngest and most adorable member (Bernz’ son) Wrek and Bernz took to Facebook to reveal the cover art and release day for their new album Search Party. There is still a ton to learn about the album from tracklist to the concept and themes, and September 8th is still a season away, but at the very least, we know Search Party is coming, and if the cinematic cover is any indication, it’s gonna be special! While you wait for more Search Party news, watch Wrek and Bernz kick off a new interview series, “Think You Know?”!